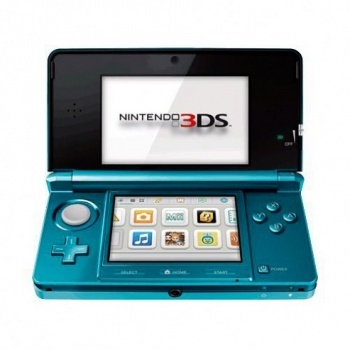 Without calling out specific numbers, Nintendo said the 3DS launch was the most successful its ever had for a handheld. An undisclosed, but apparently large, number of people across the United States plopped down $250 to get their hands on that tasty 3D goodness. Nintendo has launched a few very successful handhelds in the past, but it seems that the launch of the 3DS this weekend beats out the Game Boy and the DS. Specific numbers will be announced by an independent third party next week, but Nintendo released an encouraging statement today. "U.S. day-one sales numbers for Nintendo 3DS were the highest of any Nintendo hand-held system in our history," the statement read. "More details about U.S. sales numbers will be made public on April 14, when first-week U.S. sales figures will be tallied by the independent NPD Group. Nintendo worked hard to get as much product as possible to retailers on day one to meet demand, and we will continue with these efforts moving forward." While I was excited as the next guy for Nintendo's shiny new device, the lack of compelling launch titles and the big price-tag convinced me to wait on purchasing one. After reading about the lackluster attendance at Nintendo's launch event in New York City this weekend, I wonder where all the people clamoring for the 3DS live. Are there more Nintendo fanboys in Idaho than there are in New York? It's not that I think Nintendo is lying, but the numbers they are using to compare launches might be a little skewed. For example, Reggie Fils-Aime, President of Nintendo America, said they worked hard to insure that stores didn't run out of stock like they did with the Wii. Whether Nintendo is talking about the "sell-through" numbers, or the actual number of units sold to consumers makes a big difference. We'll have to wait for the official numbers to make a call.